Explore the growing power of molecular simulations to address a variety of problems. 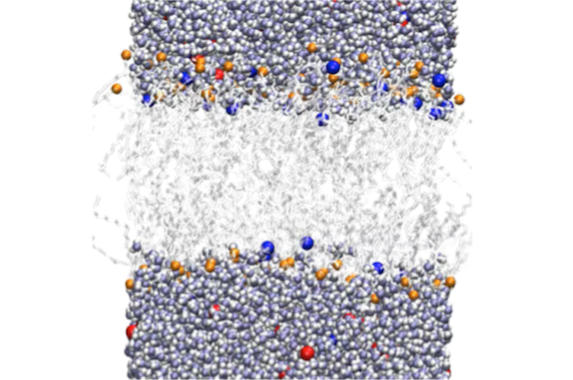 In 60 minutes, you’ll delve into the basics of molecular simulations and see examples of their applications to simulations of surfactants, lipids and polymers. You’ll consider the range of time and length scales now accessible with both atomistic and coarse-grained simulations, primarily molecular dynamics, and the kinds of problems that can now be addressed. You’ll learn about the use of sampling methods, in particular the Histogram Weighted Analysis Method. You’ll review the results using standard atomistic force fields - such as GROMOS, CHARMM, OPLS and others - and using standard coarse-grained force fields - such as Martini, Dry Martini and the SDK model. This webinar will address problems that include the dynamics of lipid monolayers and bilayers, lung surfactant layers - including the effect of peptides - surfactant self-assembly and micelle shape transitions, the interactions of surfactants with water-oil interfaces, the dynamics of components of latex coatings - such as polymer thickeners - and the interactions of dendrimers with DNA.